Once rivals in Binghamton NY’s rap battle scene during the 90’s, Tone Chop & Frost Gamble subsequently became partners in rhyme and tagging. Cincinnati’s Buggs tha Rocka performed with Talib Kweli recently at the A3C Festival in Atlanta and also at the special Eternal Reflection reunion show with Hi Tek, MOOD and DJ Clockwork, and then completed a series of interviews for international publications. The album includes production by Hop Trax, Sal Dali, !llmind and Jake One, and guest features from Tanya Morgan, Chuck Inglish, MOOD and Piakhan who appears on the track “Angel of Death”, the concept video for which will be premiered on the UK site Shout 4 Music on 11th November as part of a new special feature on the artist. 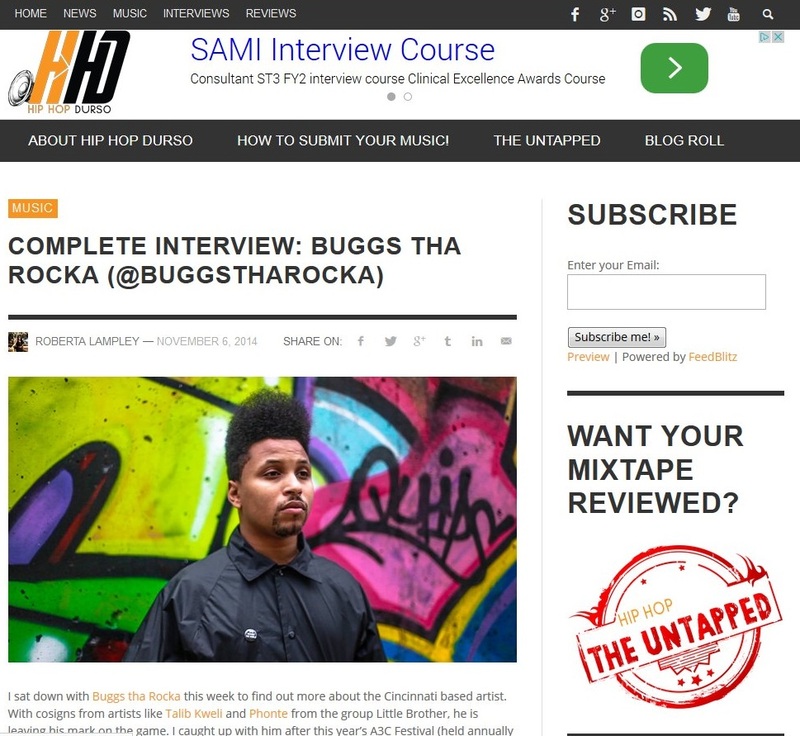 Buggs tha Rocka – A3C Festival 2014 Re-Cap from Buggs Tha Rocka on Vimeo.